From Jay Gould's attempt to corner the gold market in the 1860s to the Hunt brothers' scandalous efforts to control the silver market in the 1980s, Wheels of Fortune traces the rich, colorful history of the futures market on its quest for respectability and profit. This comprehensive account shows readers why the markets have been grabbing headlines for over 100 years as both respectable economic institutions and hotbeds of gambling activity and scandal. Charles Geisst brings the personalities and strategies behind the futures market and speculation in general to life, against a backdrop of American life that begins prior to the Civil War. CHARLES R. GEISST is the author of fourteen books, including the bestsellers Wall Street: A History and 100 Years of Wall Street, as well as The Last Partnerships and Monopolies in America. Previously, he worked as a capital markets analyst and investment banker at several investment banks in London and has taught both political science and finance. He has contributed to many journals and newspapers, including the International Herald Tribune, Neue Zurcher Zeitung, and The Wall Street Journal, and has appeared as a guest on many radio and television financial programs. 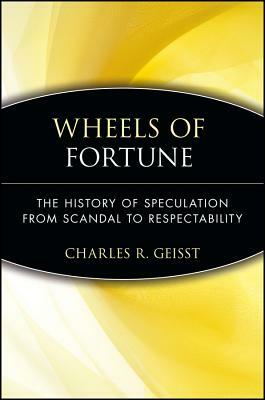 Deals of the Century, also published by Wiley, is Geisst's most recent book on financial history.